Yasss, I have my Macbook back and I’m ready to write about my favorite things immediately. 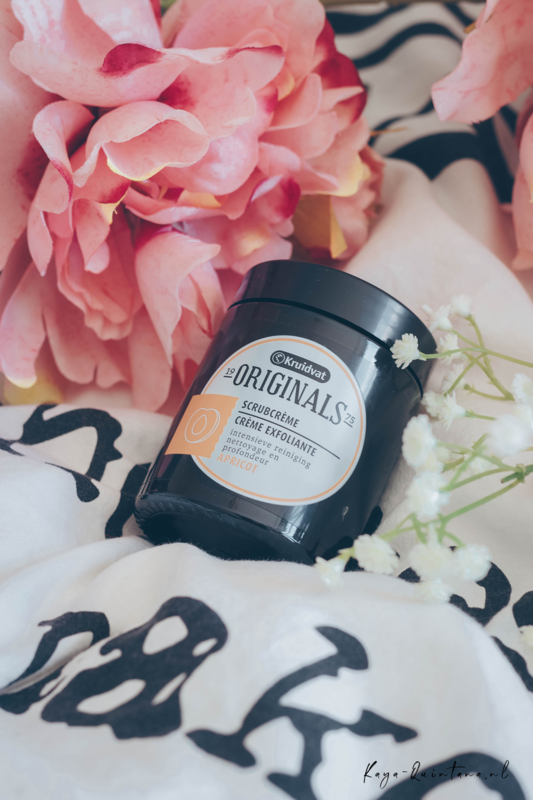 That’s I’m sharing my favorite budget face scrub with you today. My mother used this scrub when I was little, and she swore by it. As a kid I was always very impressed with all the beauty products my mom used. And so I remembered that this scrub was something I need in my life. 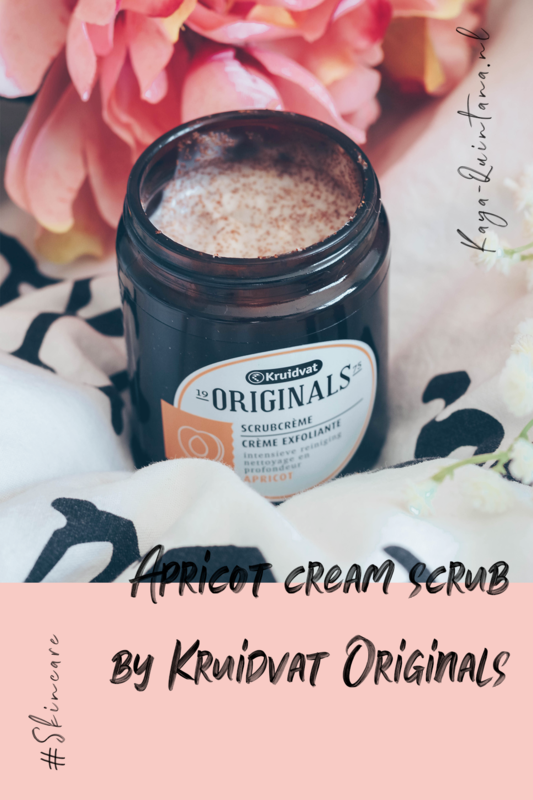 Thankfully the Dutch drugstore Kruidvat still carries the Kruidvat Originals apricot cream scrub. So let’s talk about it! 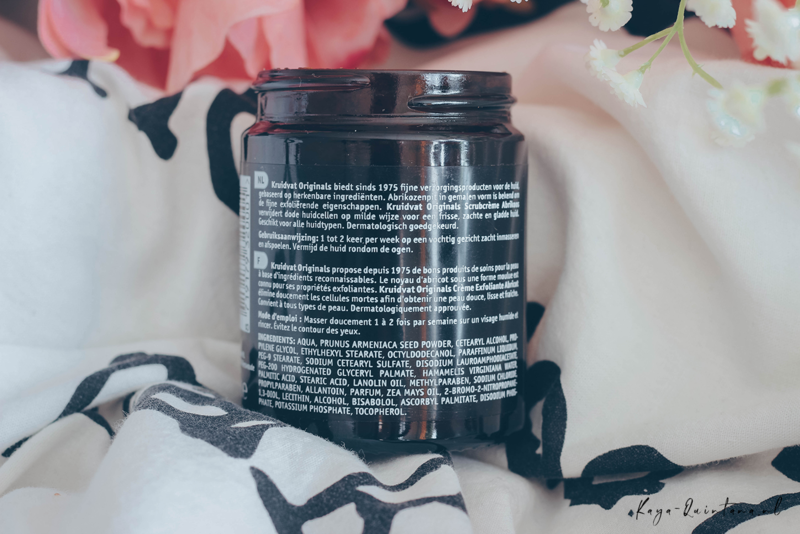 This scrub is the best affordable face scrub I’ve ever had, and the results are amazing. It only costs €1,99 for a 100 ml and it comes in a glass jar. The main ingredients are water and grinded apricot seeds. This means there are no plastic beats in this scrub, which is better for our environment, yay! 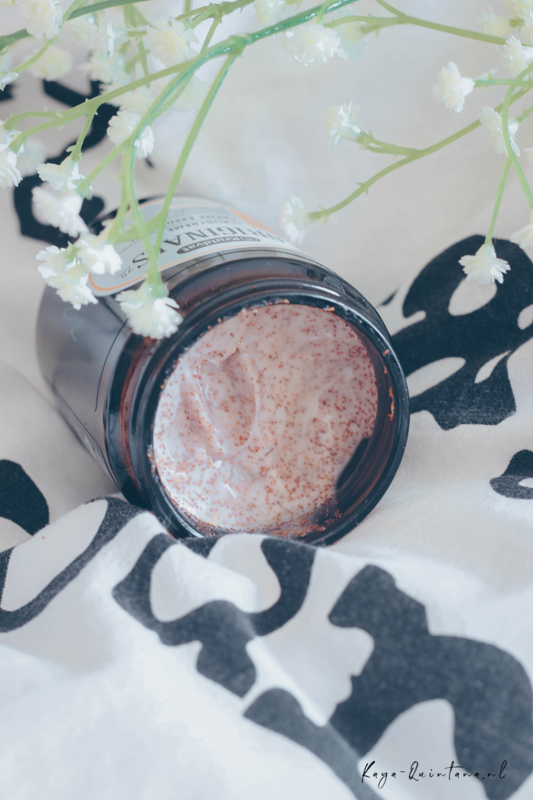 The Kruidvat Originals apricot cream scrub also actually feels creamy to the touch. 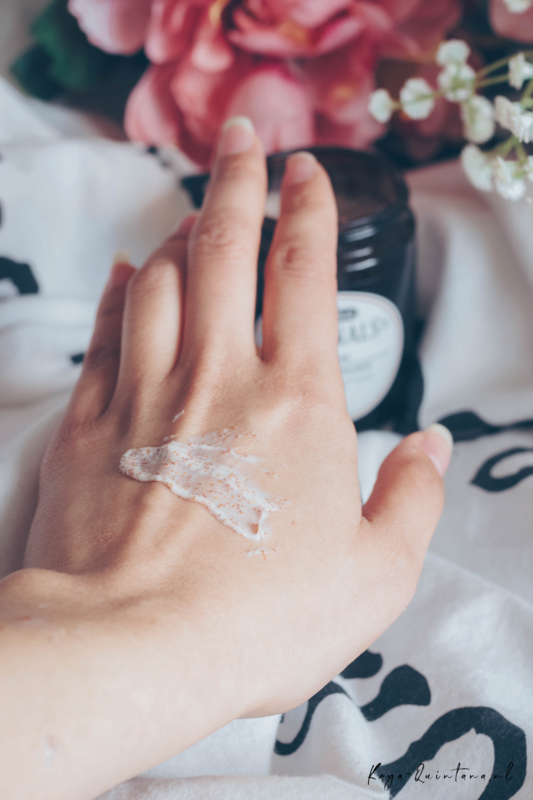 It almost feels like your slathering on the most amazing and rich day cream, but you wash it off. I love using this scrub three times a week after working out. It helps cleansing my pores after sweating out all the dirt in the gym. I use the scrub in the shower at the end of my routine. I like waiting for my pores to be completely opened, before I apply it in a ‘circular’ motion. I also use it on my neck and my chest, because during a workout I do get a bit clammy there. I also want to make sure my neck and cleavage look good too. 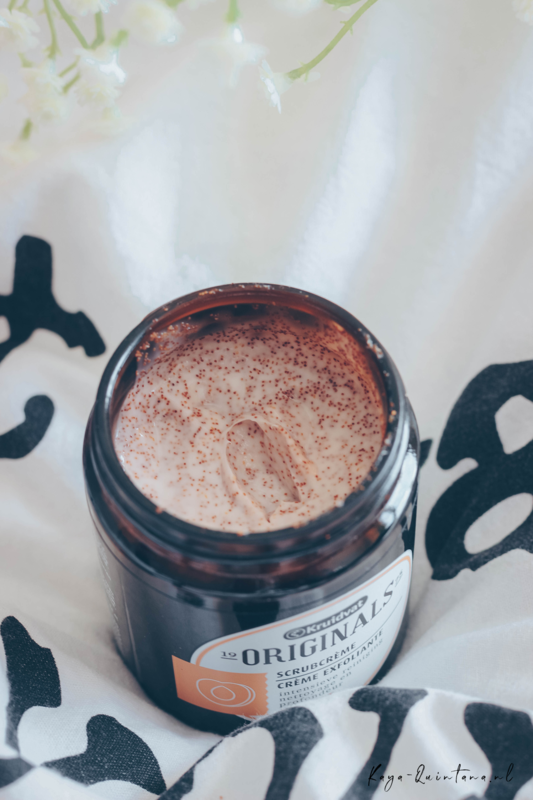 Since it’s quite creamy you only need a little bit of this scrub, because it goes a really long way. The grinded apricot seeds really do most of the work. They’re very small and easy to ‘grind’ into your skin. I always feel like that’s the reason why my pores are actually clean. 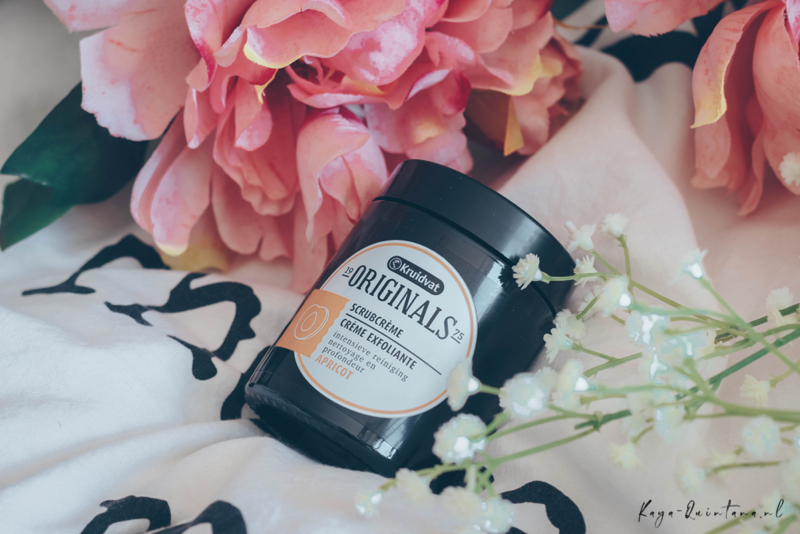 Instead of just going over your skin, the Kruidvat Originals apricot cream scrub actually seems to dig into. Which helps me get rid of all the dirt in my pores. I often let the scrub soak in for a minute or so, just to make sure it also softens up my skin. Then I rinse it off, which goes quite quickly as I’m usually under the shower anyway. 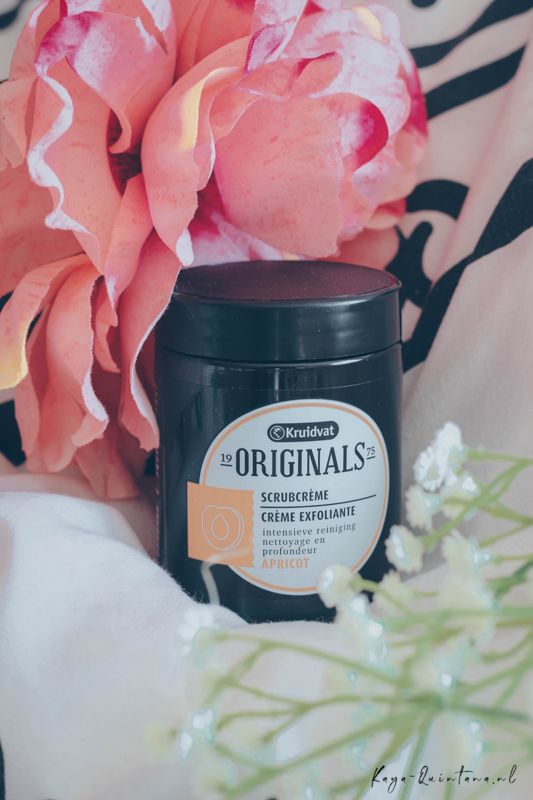 I really, really wanted to share this very affordable, yet great product with you. Mostly because I think it’s very hard to find a scrub that actually works. I also have trouble finding scrubs and exfoliants that don’t hurt my sensitive skin. Especially when I suffer from eczema and flaky skin. This little bad boy does the trick and it’s only two bucks! I truly hope this scrub is also be able to help you get rid of dead skin and dirty pores. I personally really notice a difference after using it. P.S. Follow me on Instagram for more skincare tips.